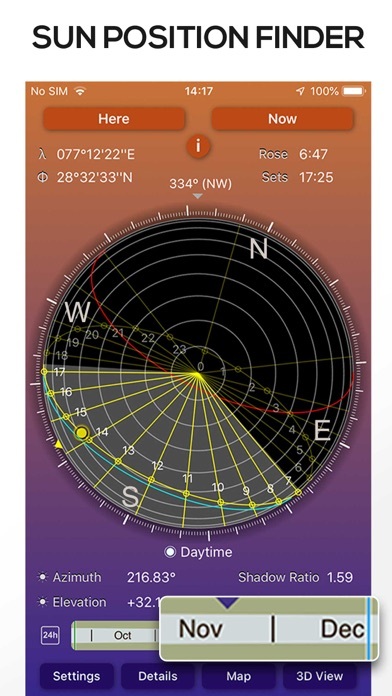 Sunseeker is a comprehensive solar tracking & compass app. It shows the sun’s hourly direction intervals, its equinox, winter & summer solstice paths, sunrise sunset times, twilight times, sun shadow, the golden hour & more. The app allows you to add sun-event notifications & has a widget showing the day’s solar data & position on an arc. The surveyor view shows the solar direction for each sunlight hour. Sunseeker has both a flat compass view & a 3D Augmented Reality (AR) view to show the solar position & path. ▶ Photographers- to plan according to the golden hour or blue hour & optimal sunlight conditions, sunrise & sunset times & directions. 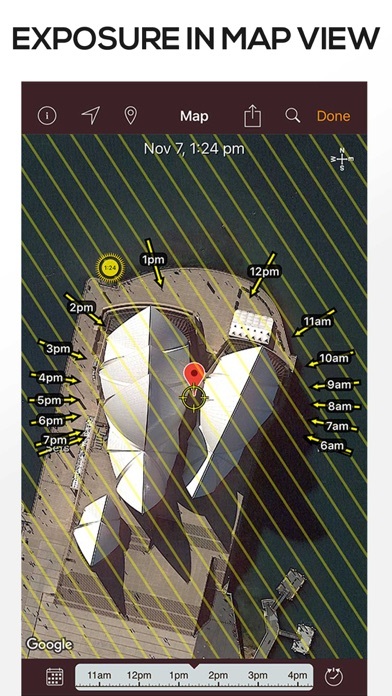 ▶ Cinematographers- this sun tracker & sun surveyor enables you to find the sun exposure, directions, sun shadow & sunrise sunset times for any location. ▶ Real Estate Buyers- can use the app before buying a property to check the sun path & to find the sun exposure of properties. ▶ Drivers - Sunseeker lets you track the sun path & movement during the days & helps drivers know the sun position to find how long the car will remain in the shade at any given parking spot. ▶ Campers & Picnickers- for anyone planning a day out, Sunseeker app will help in finding where to camp, sit or pitch an umbrella depending on the sunlight & sun direction. ▶ Architects & Surveyors- for visualising the spatial variability of the solar angle throughout the year & using the compass app as a sun surveyor & calendar to determine the sunlight directions. * Sunseeker is a sun locator which uses GPS, magnetometer & gyroscope to find the correct solar position & sun path for your current location. * Flat compass view shows current solar position, diurnal solar angle & elevation (separated into day & night segments), sun shadow length ratio, atmospheric path thickness. 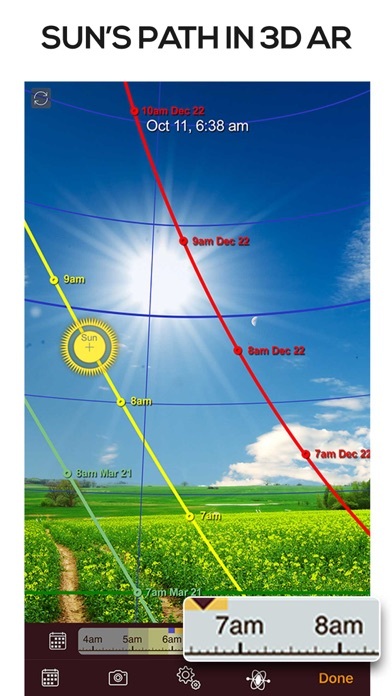 * 3D augmented reality (AR) camera overlay view shows the sun's current position, its path with hour points marked. Check golden hour using this feature! * Camera view has an optional pointer to guide you towards the current location of the sun & help you with sun direction. * Map view shows solar direction arrows, sun path & elevations for each hour of the day. * Choose any date to view sun position & path on that day. 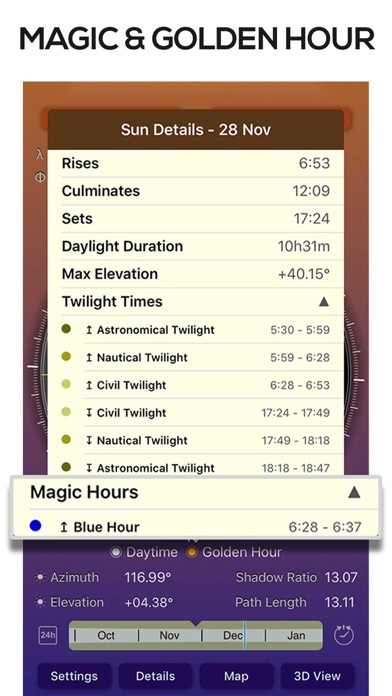 You can view sunset & sunrise times for each day as well. * Get additional details including sun rise, sunset & culmination times, maximum elevation, civil, nautical & astronomical twilight times of the sun. 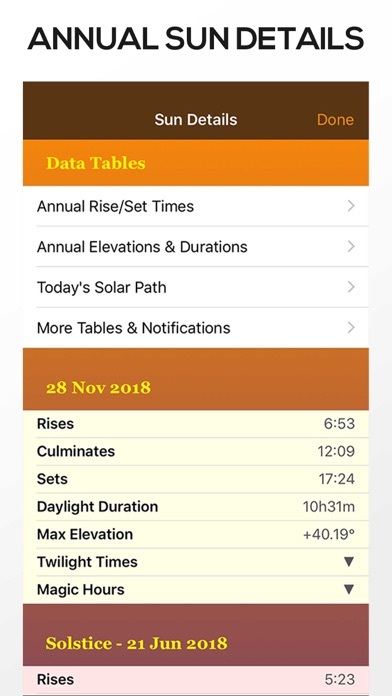 * Optional device notifications for all manner of sun-related periods & events, such as golden hour or blue hour, various twilight & shadow periods, or sun at a given compass heading or above a given elevation. 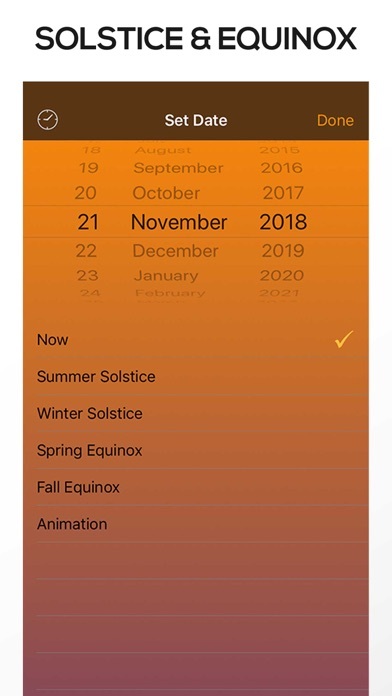 * This sun rise calendar app allows the user to include equinox, summer & winter solstice paths on both flat compass view & camera view. 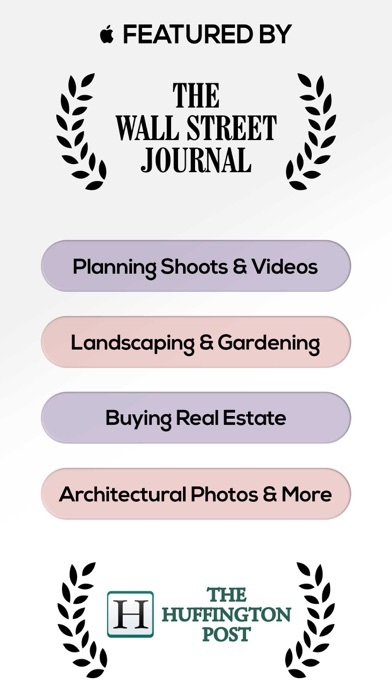 Sun Seeker app has been featured in numerous high-profile blogs, websites & publications, including Wall Street Journal, Washington Post, Sydney Morning Herald etc. "Truly amazing", "Incredible", "Brilliant" - the most genuinely useful application of augmented reality - ever! * The compass accuracy depends on having an undistorted magnetic field around your device. If you use it close to metallic objects or electrical equipment, directional accuracy may be impaired. The device’s compass accuracy can be optimised by calibrating it prior to use. See app’s FAQs for more help.